Do you want your kids to be eating healthier snacks, but find store-bought granola bars too pricey? 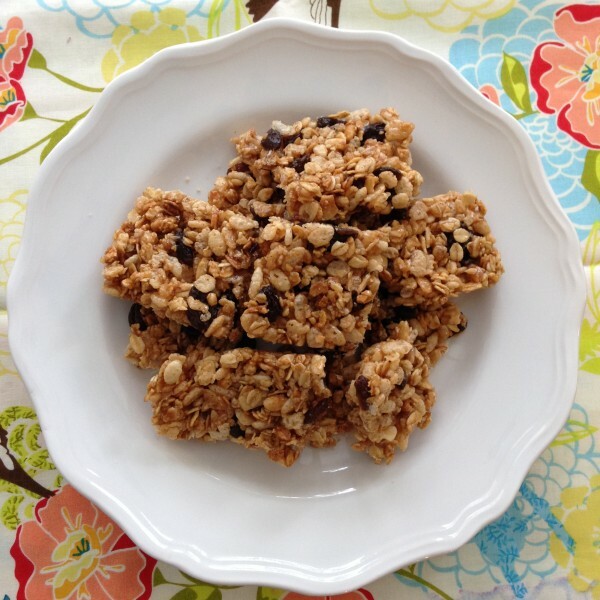 Try these delicious homemade granola bars! As usual I have been searching for quick, easy, and healthy options for feeding my children. Breakfast is a particularly hard time. It doesn’t help that Bryce eats nothing. Well at least nothing that’s good for him. He will eat donuts and chicken minis until the cows come home 😉 and really, who can blame him? But eggs – nope, oatmeal – never. Luckily both boys LOVE granola bars. This is a good thing, except they usually have lots of sugar and other “stuff” in them and/or they cost a fortune. 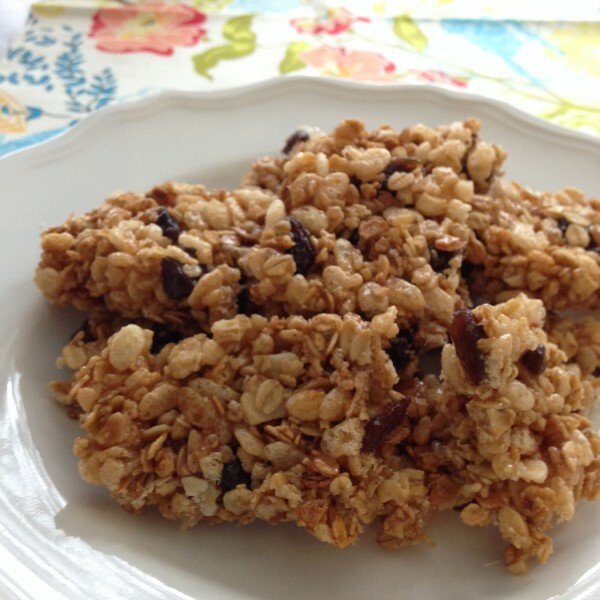 I found this great no bake homemade granola bar recipe on Pinterest. You can check out some of my other healthy finds on the board below. 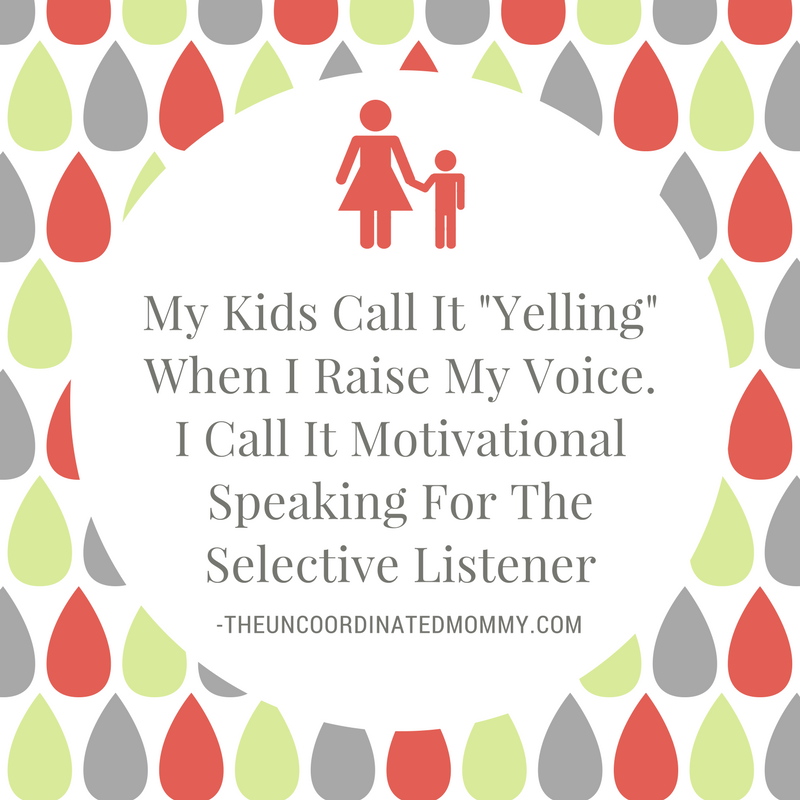 Follow The UnCoordinated Mommy’s board Health and Wellness on Pinterest. I gave it a try this morning and they are so easy and delicious!! Definitely read the tips on her post and use a low sugar granola. You want to keep the brown sugar where it is so that it gets all gooey and chewy, but this makes it super sweet if you use a sweet granola. 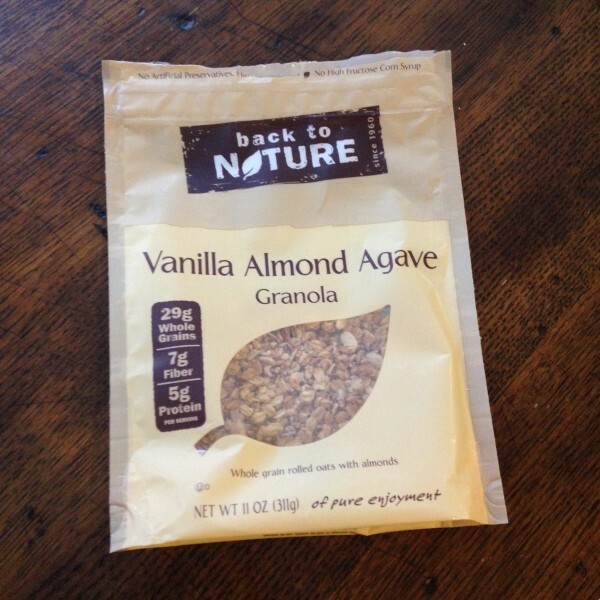 I used the Vanilla Almond Granola by Back to Nature and it was very sweet. Good, but very sweet. Next time I am going to use their Classic Granola. I also recently made some applesauce granola using her recipe and it was very easy. I haven’t made the homemade granola bars with it yet but I will let you know how it goes. 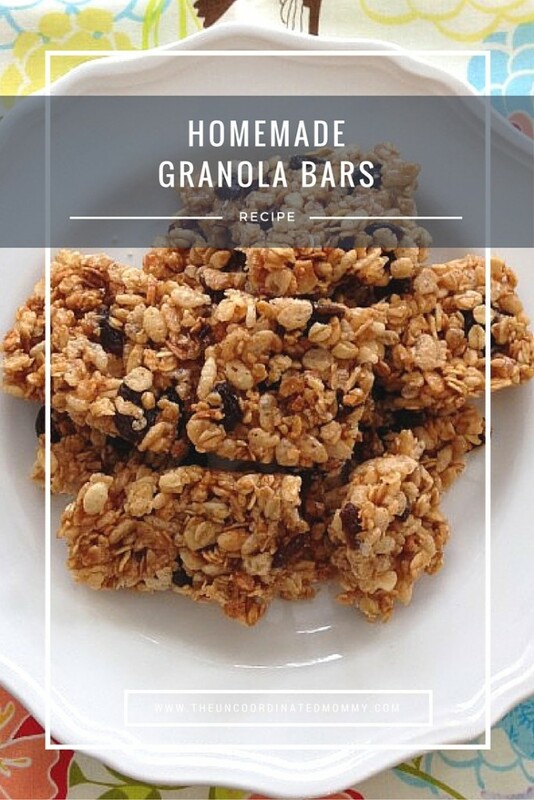 If you or your kids like granola bars you should definitely give this a try. You wouldn’t believe how easy and fast it is!! 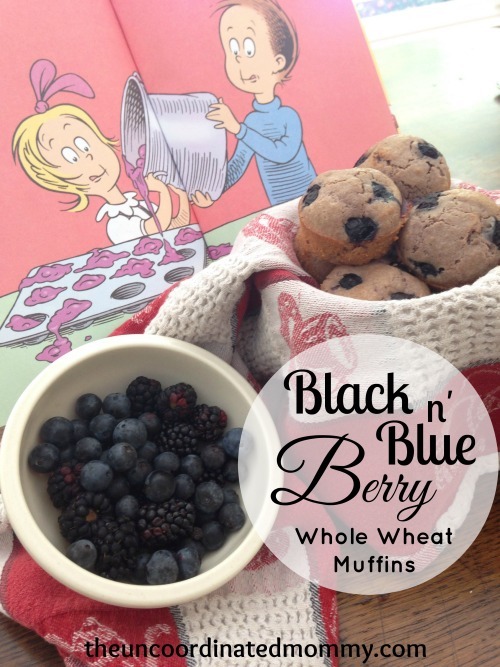 If you are looking for another fun and easy breakfast recipe to try, check out these Black and Blueberry Whole Wheat Muffins! My kids love them! !